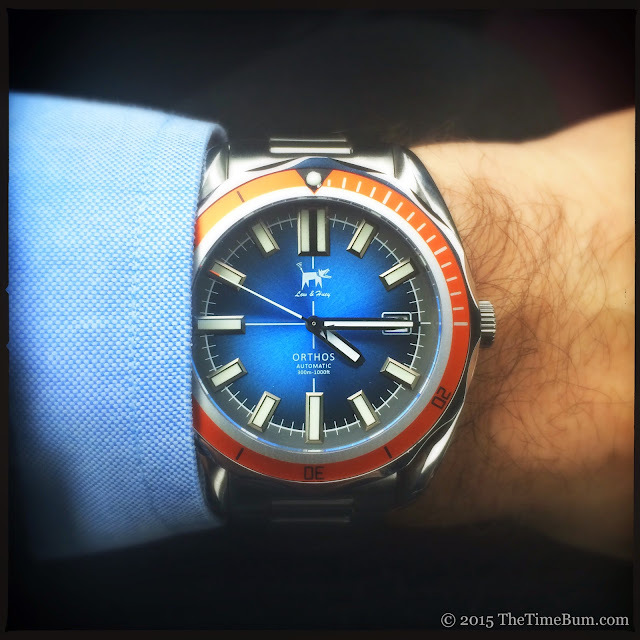 You may recall I predicted great things from the Lew & Huey Orthos dive watch when I previewed it last August. Well, The Time Bum put his money where his mouth was and ordered a red/grey model right before the pre-order discounts expired. 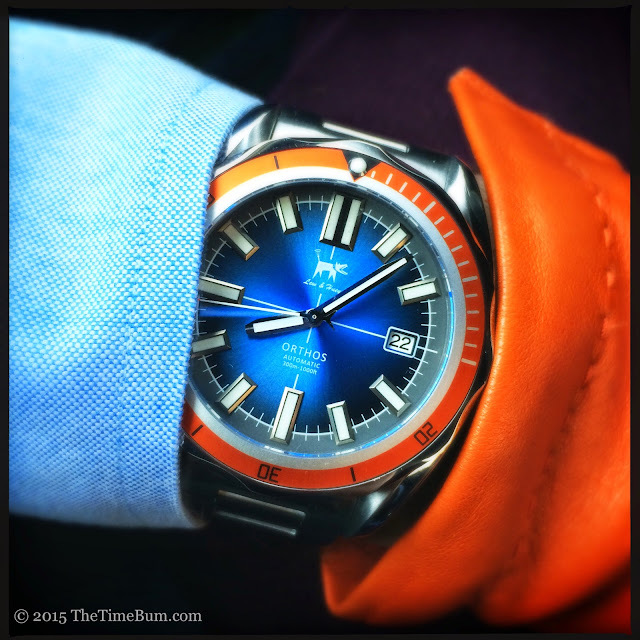 Last week, the postman brought it to my door, along with a blue/orange model lent to me by company founder Chris Vail, right off his wrist. Having worn and reviewed both over these past few days, I am pleased to report that the Orthos has exceeded my expectations. 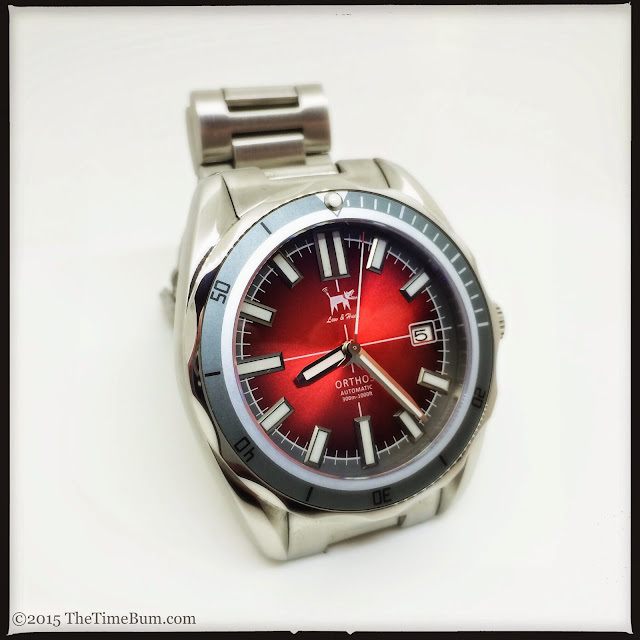 Quite simply, it is one damn fine watch. 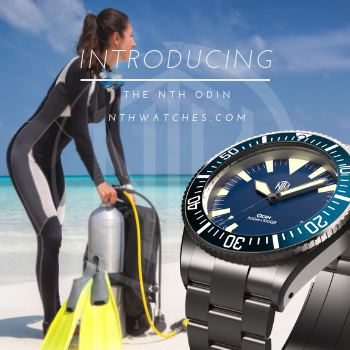 The Orthos is, first and foremost, a dive watch and has all the specifications one expects for its $500 list price: 300 meters water resistance, screw in case back and crown, unidirectional 120-click rotating diving bezel, domed anti-reflective sapphire crystal, and SuperLuminova C3 illumination. 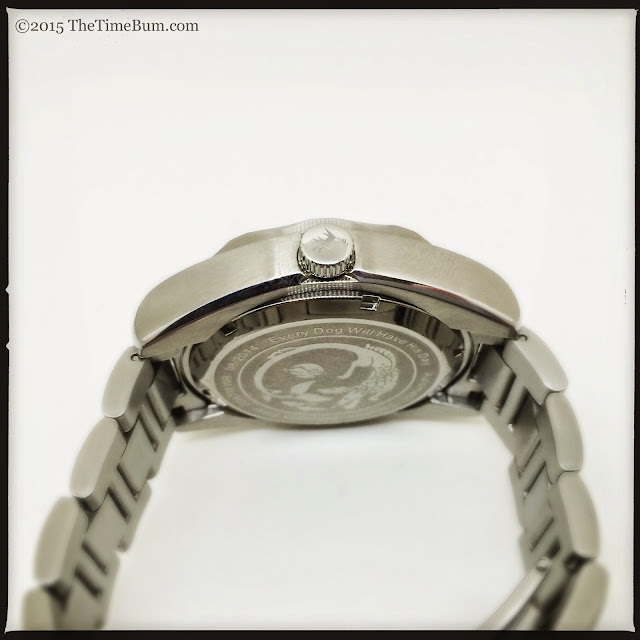 The 316L stainless steel case is 42mm wide, which is about standard for a diver these days. Overall lug-to-lug length is only 50mm, and it is 13mm thick, so it does not occupy too much wrist area, and will easily find its way under your shirt cuff. This is a good thing, because a watch this pretty needs to be shown off on dry land too. The case is round with north-south brushing and vertical sides interrupted only by the coin edged crown, decorated with good old Sparky. Viewed from above, you are treated to the sight of bombé lugs, their inward twist made more apparent by the polished upper surface that runs the length of the case. The bezel is similarly tasty, with a polished top, brushed sides, and scalloped edge like that of the Omega Seamaster Professional. Action is smooth with a solid, mechanical feel and no play. All these exposed surfaces are beautifully finished; their reflections and smooth curves invite you to touch. The case back is etched with an image of Orthos, the two headed dog of Greek legend, designed by the talented Francis del Mundo. 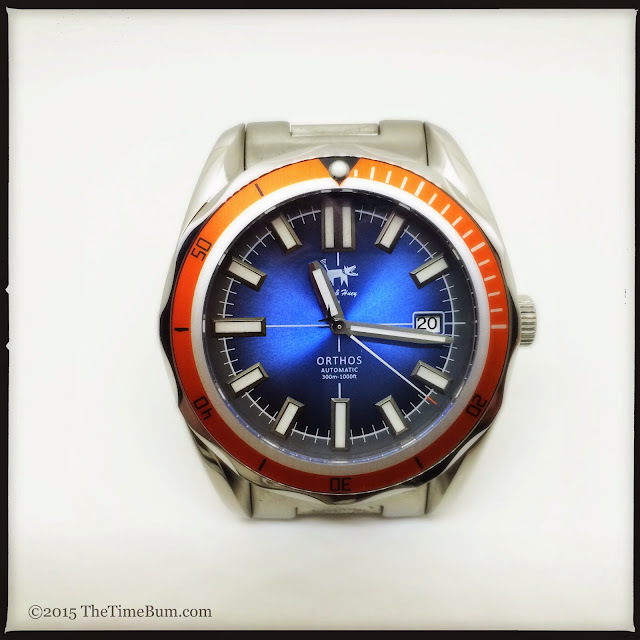 Behind the art lies a 24 jewel Seiko 4r36 (NH35) automatic. This is a reliable unit, adapted from the venerable 7s36. It hacks, hand winds, and oscillates at 21.6k bph. 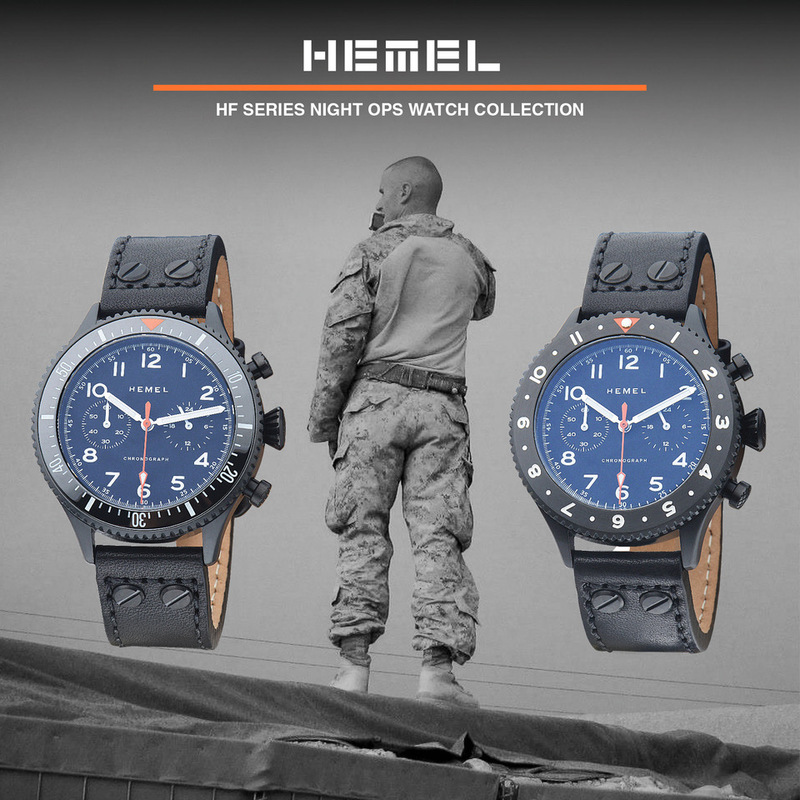 The bezel insert is printed in grey or orange, depending on the model. The band of color is considerably narrower than the width of the insert, and the markers and numbers are small and discreet. 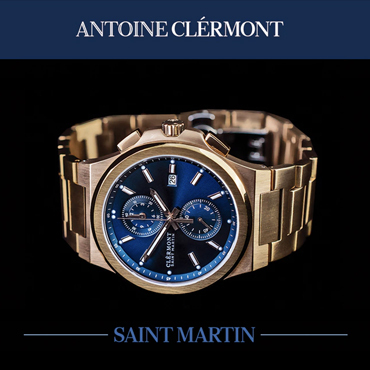 It minimizes its presence on the watch and makes the watch appear smaller. 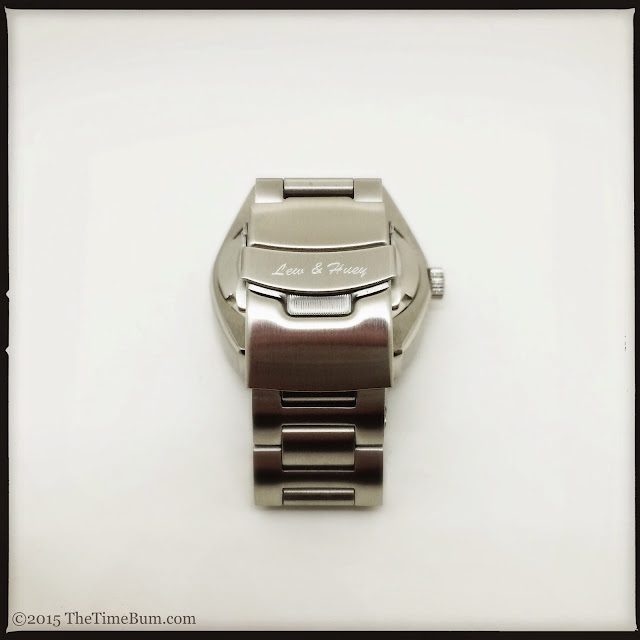 This is particularly true of the grey bezel as it recedes into the silver tones of the steel case. 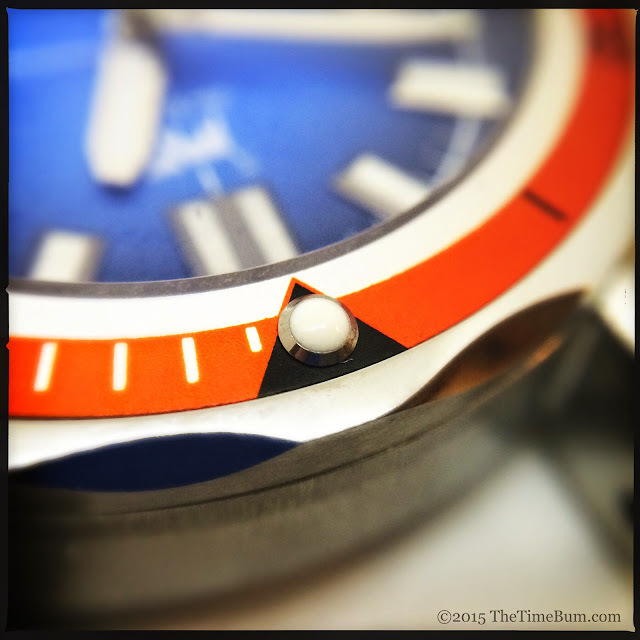 I appreciate this little illusion as it is one of several features that tip the Orthos from tool watch to dress diver. 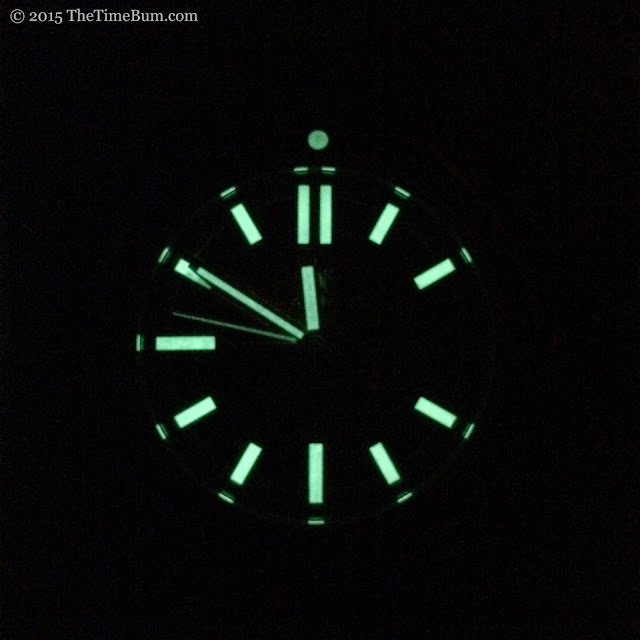 A lume pearl sits in an inverted triangle at the top. I love the look, but worry that the pronounced pip might be susceptible to damage. I suppose time will tell. The dial... Oh, the dial! This is what drew me in, and I am not alone. Everyone who sees this watch has to admire the dazzling sunburst, the intensity of the color, and the striking ombré effect. Both colors are rich, and vary in tone depending on the light. The blue is gorgeous, but the red just knocks me out. You know when you are on the beach, and the reflection of the sun off the water and sand is so bright that even when you close your eyes you can still see it shining through your eyelids, creating blood red glow? Yeah. It's kind of like that. Text is minimal and miniscule, just the way I prefer it. The largest word is "Orthos," just above "Automatic" and the depth rating below. Up top, good old Sparky barks away. There are a number of very vocal folks in the anti-Sparky contingent, but I find it hard to get too worked up. 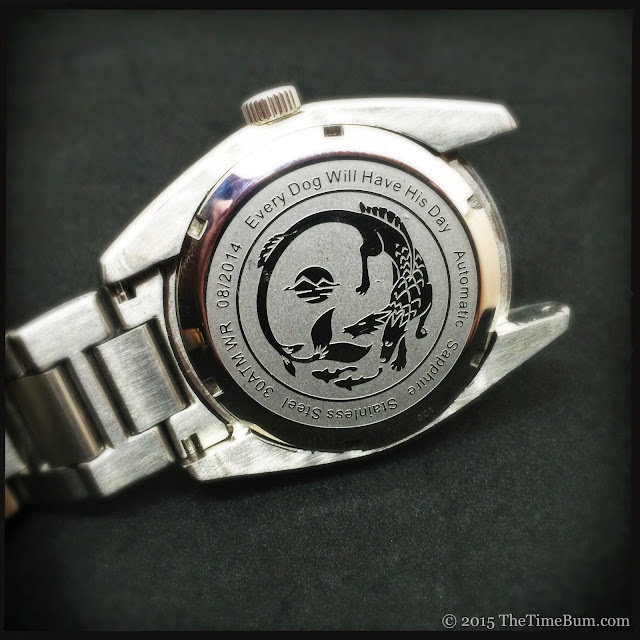 Of all the people who have asked for a look at the watch, not one has mentioned the dog. A black-on-white date window peeps through at 3 o'clock, balancing well with the rectangular markers. 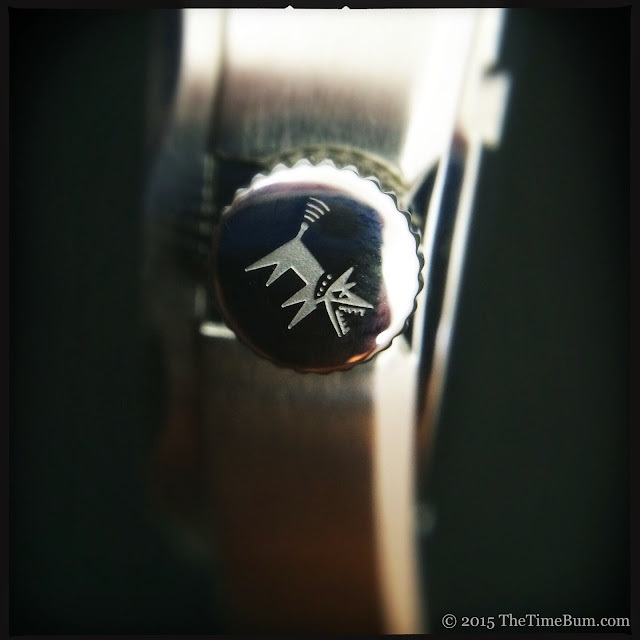 They are polished and applied, straddling the colored center of the dial and a silver ring at its perimeter. The index is printed in white, as are the crosshair lines that divide the face into quadrants. 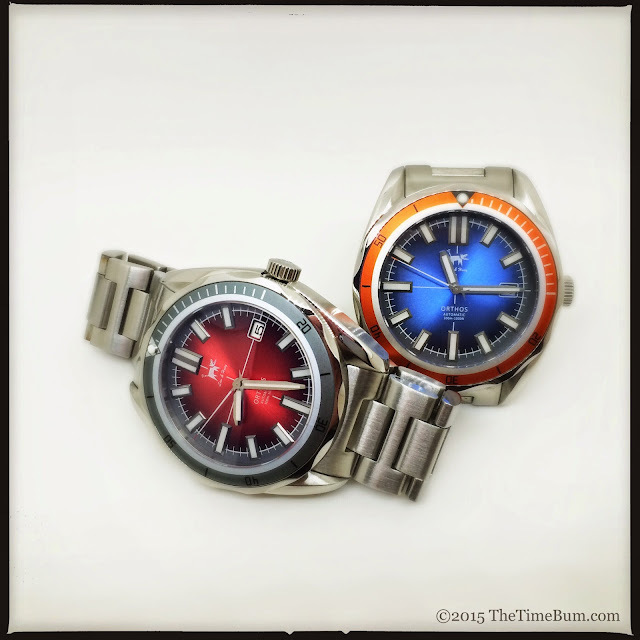 The hands are long, polished, and filled with the same C3 SuperLuminova that graces the markers and pip. At night, everything glows green, even the second hand. The bracelet is 22mm wide with fitted, solid end links and a signed, locking tri-fold diver's clasp. The H-links in between are solid and secured with screws - not double headed screw pins, but a pin with a head that threads into a single end. Hallelujah! Screwed links that only require a single screw driver! I had this sucker sized and on my wrist in a flash. Of course, I had to remove every link and adjust the clasp to its tightest position, but it fit my 6.5" wrist perfectly. Any smaller, and you will need the services of a jeweler. The bracelet exudes the same quality as the case. It is nicely finished and quite comfortable. I found the Orthos easy to wear. It seamlessly transitioned from the office to the weekend, looking equally sharp with a suit as it did with jeans and a sweater. Normally, I can't wait to try different straps on a new watch, but I could not find a single one in my collection that suited it better than the factory bracelet. 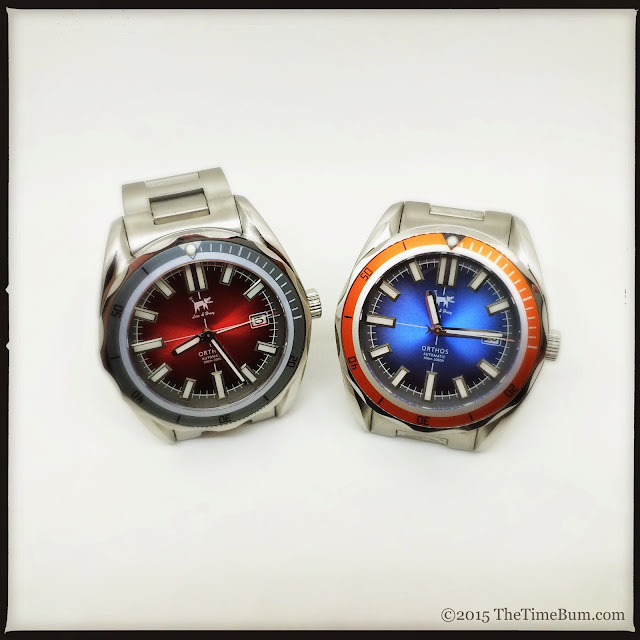 For $500, the Orthos is a lot of watch for the money. 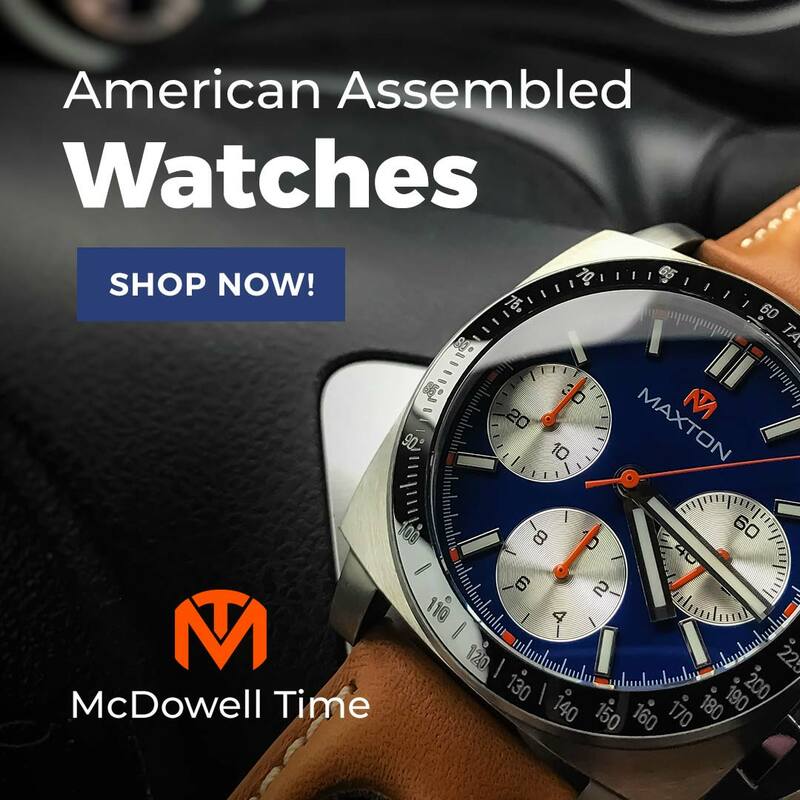 Its combination of rugged specs and polished looks means you get a capable tool watch that you can wear with a suit without looking like a tool yourself. It would have been a looker with a more conventional black or white dial, but the vibrant colors really make it special. 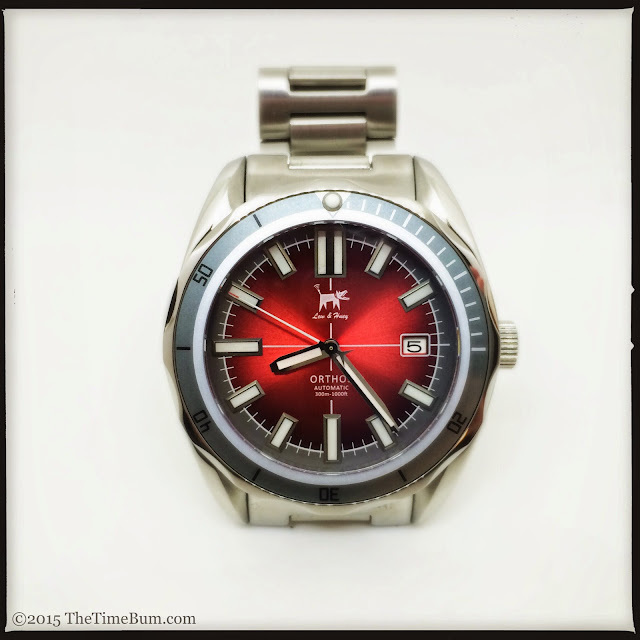 Pro: Beautiful case, intense dial. Con: Bracelet surgery required for small wrists. Sum: A knockout. The Time Bum approves.